Share your experience using the hashtag #lakesuperiorbarn for a chance to be featured on our social media or email marketing! 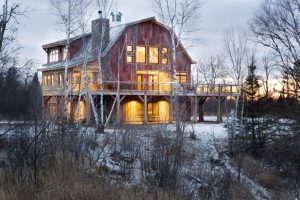 Lake Superior Barn is designed to accommodate multiple families with open bathrooms and individual toilets and showers. 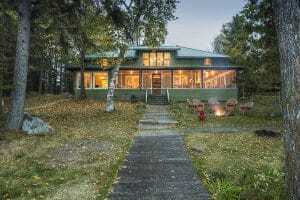 The home is just 30 minutes east of Duluth on the sandy south shore of Lake Superior. Enjoy the secluded sandy beach or walk it like an ocean looking for beach-glass. 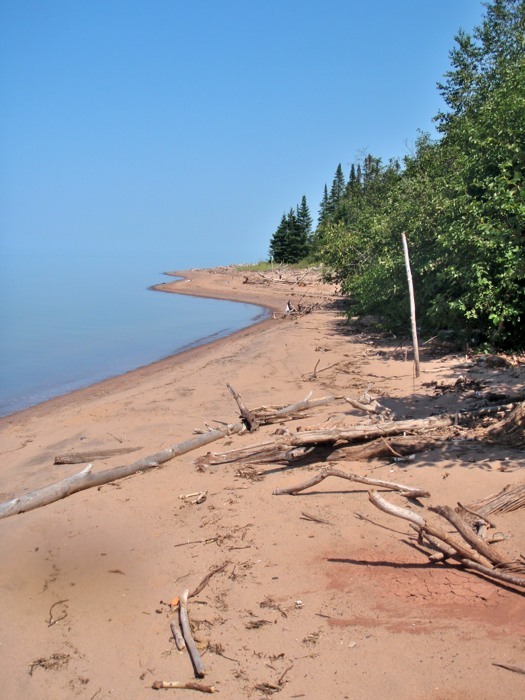 Listen to the waves crash or swim in the cleanest of all the Great Lakes where the temperature can reach 60 or 70 degrees in the shallow, sandy bottom water. Warm up to a driftwood fire or roast smore’s on the waterfront. Pets: Limit 2 dogs with approval…. $40 each pet … per day. No cats please. Enjoy the 1600 sq foot reclaimed deck just outside the beautiful kitchen and a pantry with all the extra ingredients and spices you may have forgotten. Build a fire with firewood provided in the stone fireplace or lay in a bean bag and pick a book to read from the stocked bookshelves in the loft. 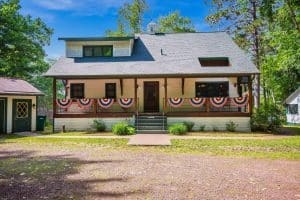 Lake Superior Barn has 6 bedrooms, 4 bathrooms and 3 showers built from the reclaimed lumber, steel and nails of 7 turn of the century Minnesota barns. The game room has radiant concrete heat to warm your toes as you play ping pong, Foosball or lounge on the couch to watch a movie… The Lake Superior Barn is a unique and rustic experience… it was designed to intentionally have no satellite TV or cable TV… but there are plenty of cards, books and board games! On the 320 acres of forest, there are trails through the woods and bridges over Haukkula Creek that flows the length of the property. Pick raspberries and wild strawberries in the summer or snowshoe the woods and trails in the winter… either way, you will never encounter another person on the private and secluded land. End the day by building a fire while overlooking Lake Superior and watch the summer sun set over the hills of Duluth.